Selma’s Antique Shops and Malls are an antiquities shopper’s dream come true with over 100,000 square feet of antiques all within walking distance of each other. This concentration of antique shops and malls offer a variety of collectibles, mid-century modern furniture, signs, vinyl records, tools and much more. Inventory and vendors change frequently so we suggest you stay in touch with your favorite antique dealer to see what&apos;s new in their store. For the professional shopper or flea market junkie, be sure to put the third weekend of June on your calendar, it’s the annual 301 Endless Yard Sale, with over 100 miles of shopping for bargains and treasures in Selma and other towns along US HWY 301. As they say in the business, "do you see something you can&apos;t live without? 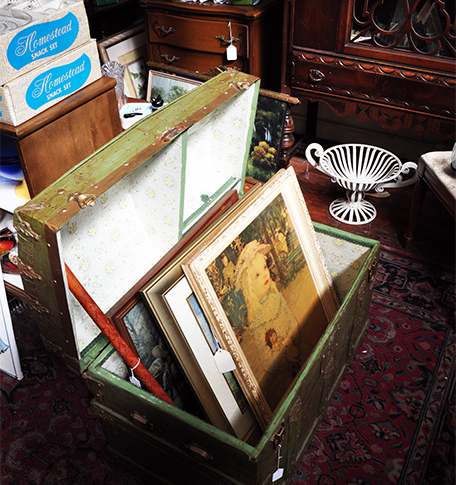 ", we hope you find your sought-after treasures in JoCo.